The Angebilt is a great place to start this blog about Orlando’s past. 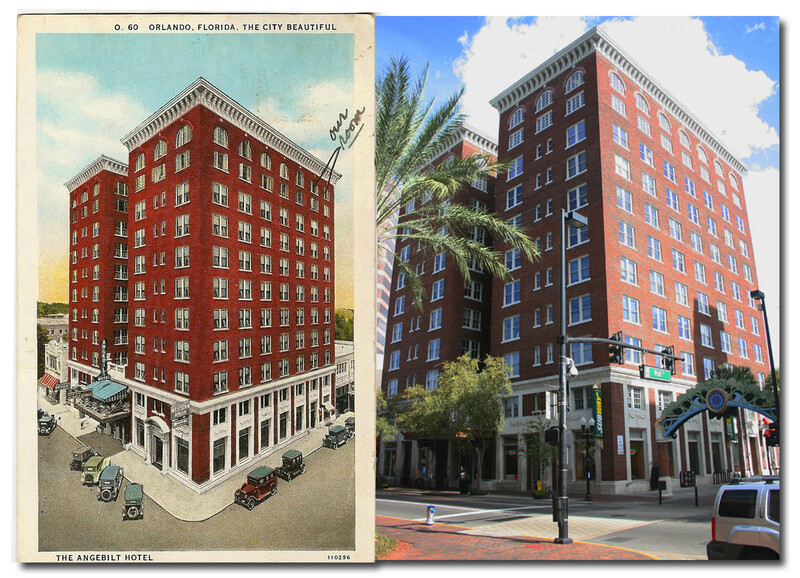 An Orange Avenue landmark for 90 years, and for decades the premier hotel in Orlando. When it opened in 1923, it was a near skyscraper as the tallest building in the city at 11 floors. 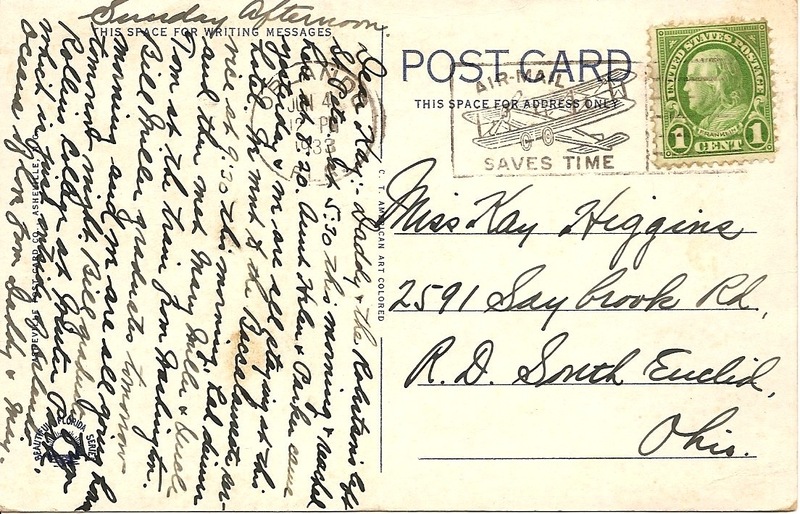 A sign in the front advertised the 10th floor dining room as “The Height of Hospitality.” Aside from 250 rooms, guests could enjoy a beauty salon/barber shop, a drug store, and a cocktail lounge. With no other buildings as tall to block the view, the roof-top sky deck provided great views of Lake Eola and the area. The hotel hosted the University Club and at one time housed two radio stations. Great Americans walked through the lobby doors during its long history. Henry Ford, Harvey Firestone, and Thomas Edison, all stayed once at the Angebilt during a trip to Edison’s home in Fort Myers. In the early 60’s, Joan Crawford was on the board of Pepsi and attended a reception held in the ballroom for the soda company. The hotel faced hardship at times. The early owner filed bankruptcy within months of the hotel opening and it changed hands within its first year. Decades later in the forties, a hurricane destroyed the top floor ballroom. By the ’70s, the elegance was long gone and it attracted a less upscale clientele. In the 1990’s with the hotel no longer in operation, the building was converted into a temporary courthouse. This was while the new Orange County Courthouse was under construction. The Angebilt Hotel in the 1930’s and the building today. The Angebilt still stands on Orange Avenue looking much like it did 90 years ago. The decorative “A” can still be found on the entry way. The lobby has been restored to its original style and is often decorated with fresh flowers. CoLab Orlando, which provides shared office space for creative and technical professionals, is based here. Two business on the ground floor generate business at lunch and in the evenings. Finnhenry’s is on one corner and a Subway on the other. Although it would be more appealing to see something other than a sandwich chain at the base, The Angebilt is a great example of a landmark building being redefined to keep its place in the community and remain part of its heritage. and brought a bus ticket and reluctantly went home, my dreams defeated. Never heard back from the school. wow, what a story, and this whole time I was just looking to live there. it seems like a such a nice place. Too bad they only have commercial spaces. I can imagine the building as a super upscale chic modern hip apartment. Oh well..
A young man, who I believe was my first cousin (same name and age – 31), was a maintenance worker there back in 1981. He was murdered in a maintenance room on the 11th floor in Jan of that year. Someone apparently snuck up behind him and stabbed him. That night a bit after 11pm, an anonymous call came into the police telling them there was a dead man on the 11th floor, and then hung up. The coroner said he died around 2 or 3pm. His killer has never been found, to my knowledge. In the 1980’s, when the Angebilt hotel was basically a flop house and in disrepair. I was a tenant, room 429. Even then, it was rich with history. The elevator rarely worked and walking down the corridors that famous people once walked in always gave me hope. I’m glad to see it has made a come back. It would be great if The Angibilt Hotel could be restored to a hotel again with all the opulence it once had. What was the radio station that broadcasted in the 40’s from the Angibilt Hotel? sang on a show, I’m told.